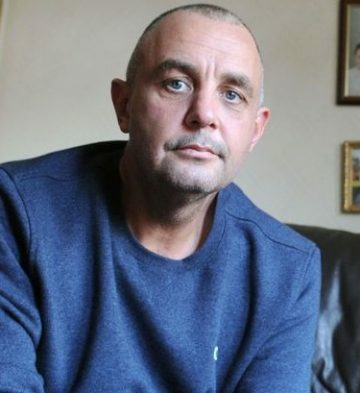 Media agency based in Liverpool, Welton Media, has been on a mission to raise awareness of pancreatic cancer in support of Craig Lyons, 43, who was diagnosed with inoperable pancreatic cancer at the end of July 2015. Craig lives his life one day at a time with the support of his wife Joan. The pair have known each other for 27 years and decided to marry after Craig confessed he had been in love with Joan his whole life. She is a constant by his side and to show her love and support she shaved her head on their wedding day. Welton Media have released a heart warming documentary of Craig’s story (see below) and are taking part in Pancreatic Cancer Action’s Turn it Purple campaign to raise funds and awareness of the disease. Stuart Welton, founder of Welton Media, says: “In the short few months that we have known him (Craig) he has touched us immensely. His courage, his strength, his willingness to keep spreading awareness of this horrible disease has simply made us want to help. “Craig is passionate about spreading awareness that will hopefully gain some exposure. He would like an earlier diagnosis for people so that they have a better chance of survival. Welton Media are also holding a cake sale and general charity day on the 17th (World Pancreatic Cancer Day).